Chemicals in Insulation | What insulation is best for my home? Cavity insulation provides an essential function in retaining heat, while also contributing to good environmental practice in the home. Good home insulation has been shown to have a positive impact on quality of life for individuals with asthma and allergies1. There are several types of insulation available, and for those with asthma and allergies, it can often be difficult to determine which type is best. These fibres are mainly fibreglass or mineral wool that are forced into the cavity by compressed air or placed manually. Beads made of polystyrene may be blown into the cavity using compressed air. They will stick together naturally, or may also be supplied with a light sticky resin. Two chemicals, isocyanates and polyols, are mixed together on site prior to application to the area to be insulated2. Urea and formaldehyde are injected and mixed simultaneously to form the foam which expands to fill the cavity. Methylene bisphenyl isocyanate, is a type of isocyanate used in urea formaldehyde and polyurethane foam. It is very reactive and can be used in a range of coatings and foams. It can cause breathing difficulties, can irritate the skin and may cause skin allergy. Hundreds of thousands of tonnes of isocyanates are produced every year, with methylene bisphenyl isocyanate being the most benign of this family of chemicals7. Formaldehyde is both a naturally occurring and industrial chemical. It is used in a range of consumer products including paints, cosmetics, dry cleaning chemicals and paper products. Exposure to higher levels of formaldehyde can result in respiratory difficulties in addition to skin contact dermatitis. While skin contact with urea formaldehyde foam can be generally limited, release of formaldehyde during curing of the foam can occur. In addition, over time the foam can degrade, releasing formaldehyde into the home breathing environment8. Hexabromocyclododecane (HBCDD) is a brominated fire retardant; one of its main uses is in thermal insulation6. Environmental data has shown persistence of HBCDD in the environment and animal studies have demonstrated detrimental impacts on liver, thyroid and reproductive organs. In 2016 the European Union implemented a ban on HBCDD, and the EPA is currently reviewing this chemical9. However even if a global ban is implemented, this would be phased, meaning that HBCDD could remain in use for many more years. Home insulation has been shown to have positive benefits for both the environment and human health10. Less energy is required to heat the home leading to positive environmental impacts. Dust mites and mold require relative humidity levels in excess of 55% in order to be able to flourish. Effective insulation leads to more effective control of the indoor environment, reducing relative humidity and damp conditions. The selection of an insulation product must be made carefully. Spray polyurethane foam has been shown to induce asthma11,12. Formaldehyde, while an economically important chemical, is also classified as a human carcinogen. Sixty-five percent of formaldehyde produced globally is used in resins such as urea formaldehyde, phenol formaldehyde and melamine formaldehyde and these are often used in the construction sector13. While mineral fibres are not classified as a skin irritant, it may cause some temporary skin itching due to its physical structure. For this reason, you should wear appropriate protective equipment when handling mineral fibre insulation14. In addition, appropriate respiratory masks should be worn by anyone installing mineral fibres – the particle size of these fibres can be small enough to reach the lung and may be cancerous. If leaks are present in home heating systems, it may also be possible for these particles to be distributed around the home. Due to the flammability of polystyrene, any insulation made from this material will contain fire retardants. These fire retardants, such as HBCDD, can cause risk to health through inhalation, and are listed by the European Union as a ‘substance of very high concern’15. It is easy to see how the home environment is becoming more and more of a problem for those suffering from asthma and allergies16. 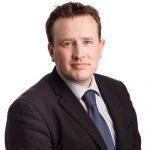 A recent tragedy in England highlighted the importance of selecting the right insulation. The Grenfell Tower residential block caught fire following a fridge freezer malfunction. The cladding on the exterior of the building used a polyethylene core, covered by aluminium. While this should have been sufficient, once the polyethylene ignited, the fire escalated rapidly and 72 people lost their lives. Mineral fibres, while capable of catching fire, burn much more slowly and can give valuable time for people to exit the building17. What insulation should you select? Insulation plays an important role in the home in creating a comfortable warm environment, which has positive health impacts1. This should be balanced against the potentially harmful effects that it may have. Mineral fibres may have a detrimental impact due to their particle size and polystyrene beads, urea formaldehyde and polyurethane foam may have a detrimental chemical impact. What you should determine is how much each of these may affect you, and how likely it is to happen. Certification marks can play a role here in providing independent testing on insulation. How do you identify healthier insulation products? Greenguard certification is primarily focussed on promoting healthier indoor environments and was first established to assist EPA purchasing decisions. 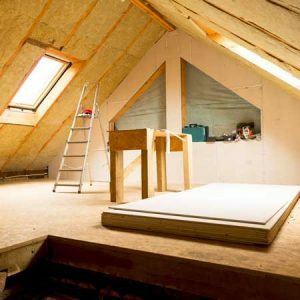 Certification for insulation is as part of the building materials certification standard and focusses predominantly on chemical emissions, including VOCs and formaldehyde18. Green Seal certification is based on architectural insulation materials and certifies products that meet their standard. There are five main testing areas within the standards and these include: reducing global warming impacts by using low GWP blowing agents; reducing waste through the use of recycled materials; protecting human health by meeting chemicals limit levels; demonstrating stewardship through reduction of hazards on installation and having an effective performance19. 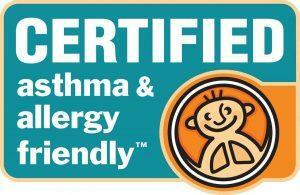 The asthma & allergy friendly® Certification Program is operated by Allergy Standards Ltd in collaboration with the Asthma and Allergy Foundation of America (AAFA), Asthma Canada (AC) and is also operated internationally through a global certification mark. Insulation is tested against specific parameters relevant for healthy indoor air, these include constituent review, evaluation of release of airborne particles during installation and disturbance, evaluation of insulation’s ability to support fungal growth and VOC emission testing20. Insulation is not something that is immediately obvious in the home, for the most part it should be safely sealed within the home. However under certain conditions, chemicals and physical particles can be distributed around the home. Where appropriate, use Certification marks to guide your selection. The most important thing is to educate yourself – you need to take personal responsibility for your allergies or sensitivities to chemicals. Understand what you react to and take steps to avoid it. If you wish to use certification marks as signposts for products that are more suitable for you, make sure that you understand what their certification is based on.